Globally, chronic lung disease is rapidly increasing with chronic obstructive pulmonary disease (COPD) now the third leading cause of death in the world. It often affects the poorest people in the poorest countries. 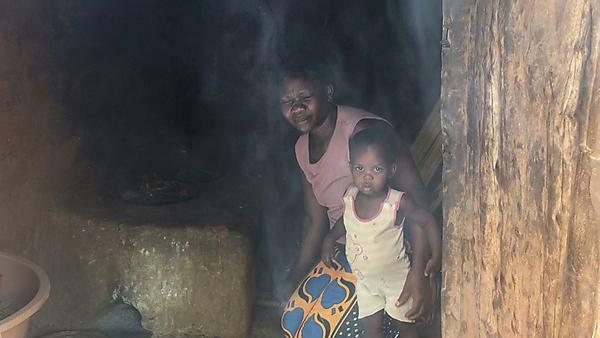 In Africa, the prevalence of COPD has risen by 35% in a decade and affects around one in eight adults. Many of those affected are young women who have never smoked. People suffer from a cough and breathlessness becoming trapped in a vicious cycle; they avoid exercise to avoid breathlessness, they become unfit, weak and unable to work. They become socially isolated, are not allowed to sit at the family table, and unable to earn money and they become malnourished and severely ill.
Their misery is compounded by stigma – the people in their community think they are infectious – and sometimes they feel they are victims of witchcraft. Sadly there is little or no effective drug treatment available. COPD and post-TB lung damage respond very poorly, if at all, to drugs. And even if drugs are available they are rarely affordable. With so many people affected something needs to be done. A treatment called pulmonary rehabilitation is recognised as an effective way to help people. Established in the West as an evidenced based core treatment for people with chronic lung disease, it has rarely been used in Africa. In a recently completed research project in Kampala we demonstrated that pulmonary rehabilitation is an effective treatment and is making a big difference to peoples’ lives. The project was highly successful in improving breathlessness, improving exercise capacity and enabled many people to return to work, restore their place in communities and feel well again. All too often in medical research, outcomes are not relevant to the people with a disease and are only important to scientists. Even successful research, which can improve the lives of patients, is not implemented. there is an instant demand for the service. Now is the time to allow research to be put into practice. Now that the initial research project has finished, staff and patients are keen to continue the programme, however there is no suitable location available to run the rehabilitation. We want to build a fit-for-purpose rehabilitation centre. The vision being that this centre will become a permanent hub for helping people with disabling lung disease, as well as a training centre to support the set up of further rehabilitation programmes across Africa. The crowd-funding project will be led by Professor Rupert Jones, of the University of Plymouth's Faculty of Medicine and Dentistry with support from Lucy Cartwright, Sanne van Kampen, and Andy Barton. Rupert has been involved with research in Uganda for five years and international lung research for over 20 years. The Institute was established two years ago. It has a centre in Mulago Hospital, Kampala, Uganda where a major programme of research is being grown. The IPCRG have established teams to educate clinicians, conduct research and change policy on lung disease in many countries around the world. Their research activities provided the funding for pilot studies of pulmonary rehabilitation in Uganda in 2012, and now have many research projects worldwide.